HD Kumaraswamy is in New Delhi to attend the NITI Aayog meet. HD Kumaraswamy said Nitin Gadkari had given him an appointment to discuss the issue. 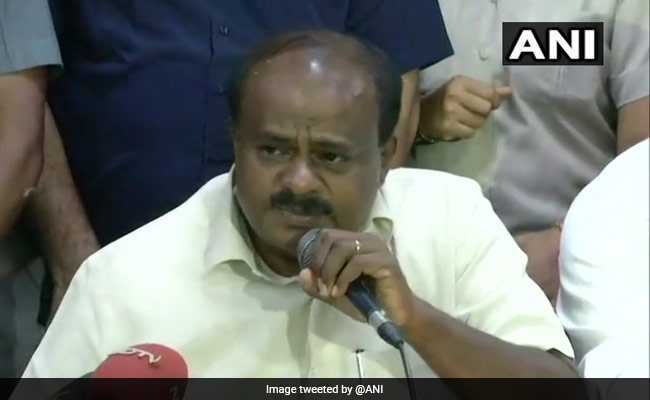 Bengaluru: Karnataka Chief Minister H D Kumaraswamy said today that he has sought an appointment to meet Prime Minister Narendra Modi on Sunday, to discuss the recently formed the Cauvery Water Management Authority (CMA). Mr Kumaraswamy who is in Delhi to attend the NITI Aayog meet also said Water Resources Minister Nitin Gadkari had given him an appointment to discuss the issue. "I have sought an appointment with the Prime Minister to discuss the CMA. He is yet to give an appointment," he told reporters in New Delhi. The Karnataka government had earlier opposed any move to form Cauvery Water Management Board. It had suggested the formation of Cauvery Decision Implementation Committee. On February 16, the Supreme Court had directed the government to form the CMA within six weeks, in a verdict that marginally increased Karnataka's share of Cauvery water, reduced the allocation for Tamil Nadu and sought to settle the protracted water dispute between the two states. In a gazette notification, the Ministry of Water Resources said it has framed a scheme constituting the CMA and the Cauvery Water Regulation Committee (CWRC) to give effect to the decision of the Cauvery Water Disputes Tribunal as modified by the Supreme Court order. Tamil Nadu government, which welcomed the gazette notification, has last week named its representatives of the CMA and the CWRC. Asked whether he was aware of the disgruntled Congress MLAs reportedly planning a meeting over cabinet expansion next week, HD Kumaraswamy said it had not come to his notice. "I have to wait and see what decisions they (Congress leaders) take. I have also sought appointment with Rahul Gandhi. If I get to meet him tomorrow, I would discuss with him and later speak about it," he said.